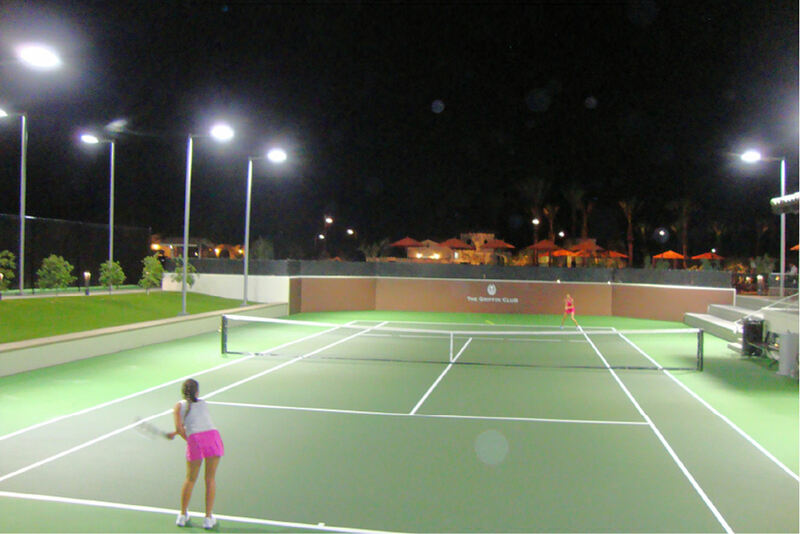 O utdoor tennis lighting is evolving very quickly with the advancements of new technology. Gone are the days of the 1,000-watt metal halides that took 10+ minutes to start up and the high maintenance cost due to the very short lamp life of the halides. 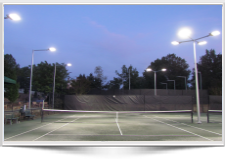 Brite Court is taking outdoor tennis lighting to new levels offering more energy efficient options than any other company. 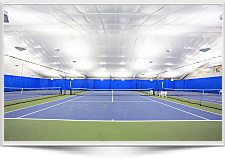 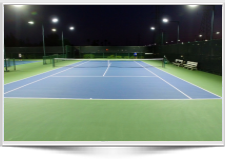 From budget minded lighting solutions to tournament facility outdoor tennis lighting, we have the technology and experience to fulfill your sports lighting needs. 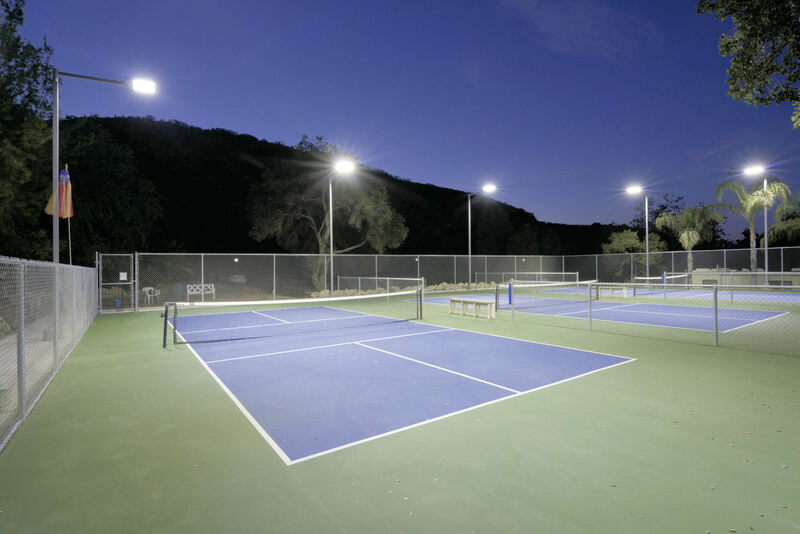 Brite Court LED tennis Lighting are rated at 70,000 hours (7-times that of your 1000 watt metal halides) Our LED fixtures are designed to replace your 1080 watt HID fixtures. 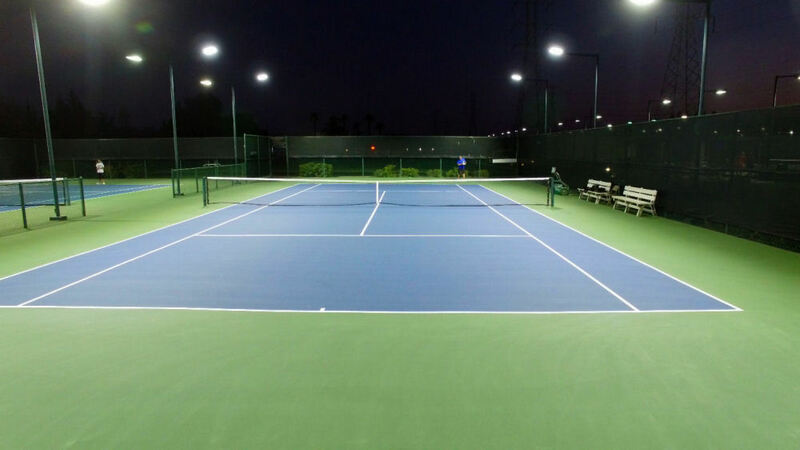 When you combine the incredible energy savings and maintenance reduction of the LED tennis fixtures forward minded decisions will result in big savings. 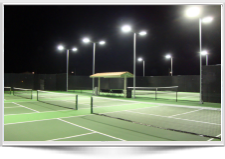 Brite Court LED tennis lights are engineered specifically for lighting outdoor tennis court, unlike most LED fixture used in Parking lots the Brite Court fixtures are designed to throw the light forward toward the court which reduces light pollution. 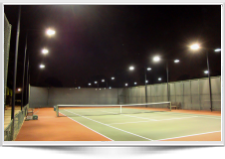 (Below left) is a single court, the before picture this court used eight 1000,watt metal halides. 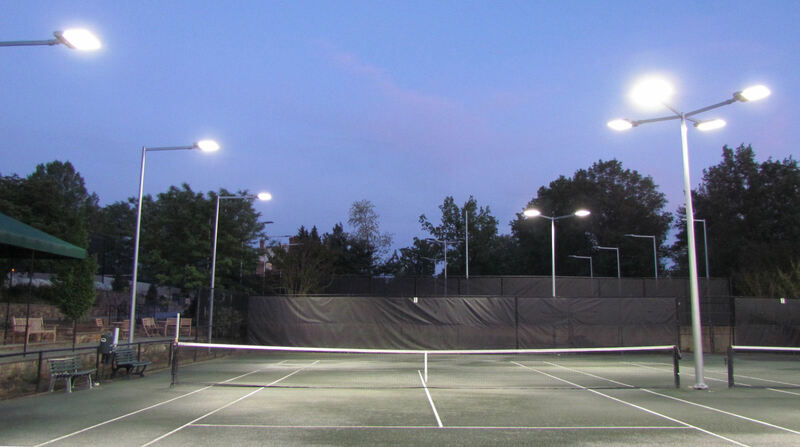 (Below right) is the same court with Court LED fixtures replacing the halides. 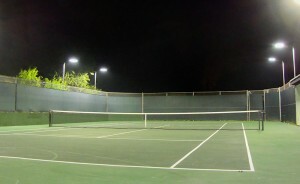 The Video to the right is the Sparetime Clubs Broadstone facility in CA. 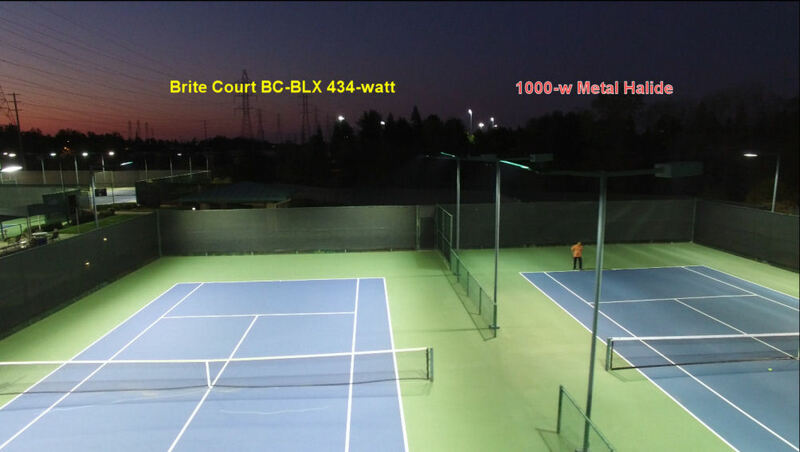 this video shows the comparison between the existing 1000-watt halides and the Brite Court BC-BLX 434w LED tennis lighting. 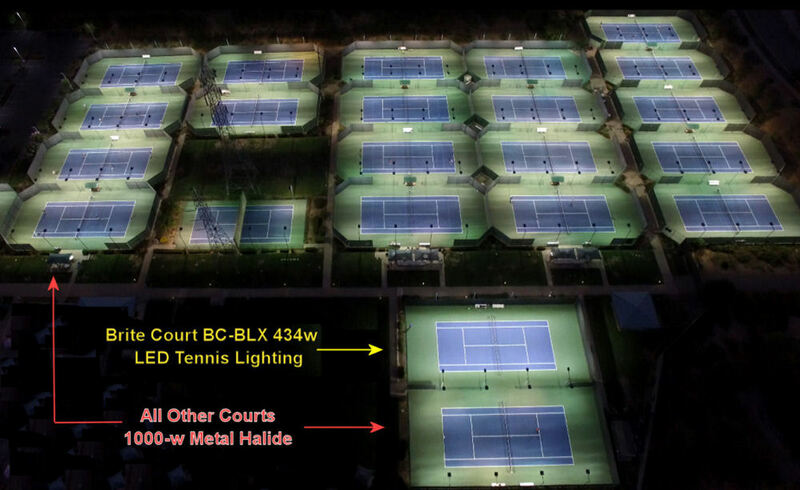 As you can see the single court that has the LED is a major improvement over the inefficient halides. 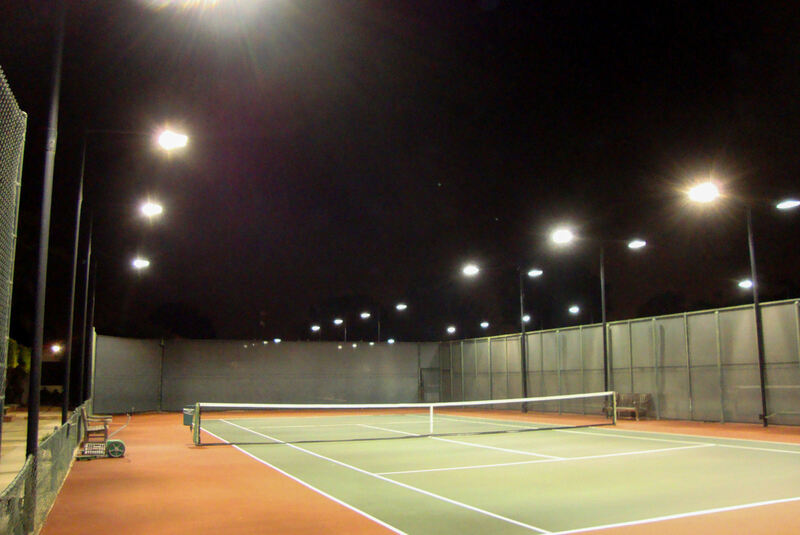 It was so dramatic that Spare time replaced the lights on all 23 courts. 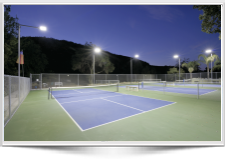 Our LED tennis lighting features have reduced glare and provide a long lamp life solution to replace your aging halide systems. 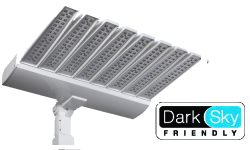 With 70,000 hours of lamp life and 50%-70% energy reduction you will not only see your electric bill decline, but maintenance cost will also be reduced. 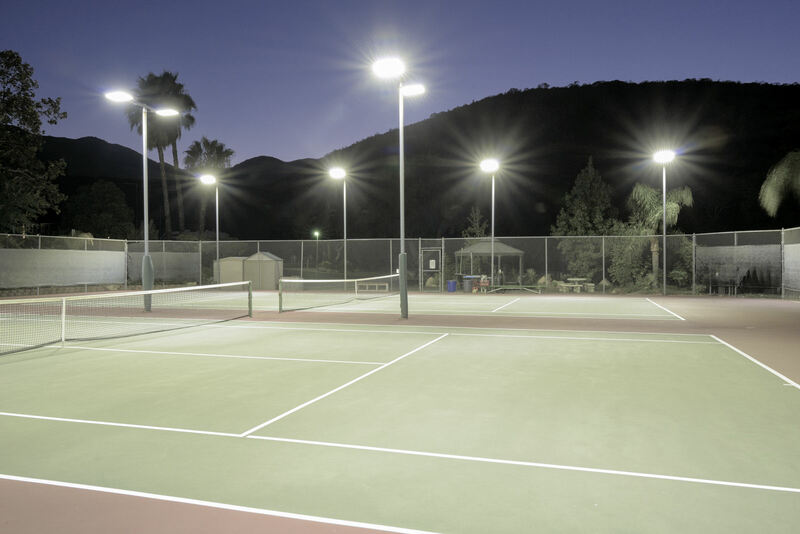 Brite Court Pulse Start Metal Halide tennis light fixtures are setting new standards with with lower lumen depreciation and faster start times. 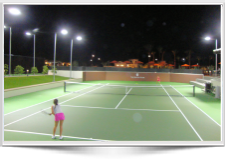 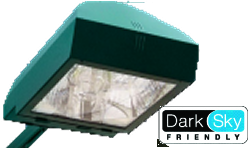 Our forward throw fixtures light the courts and not the surrounding area drastically reducing light pollution. 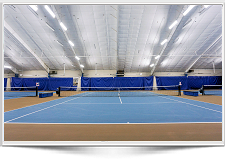 All of our sports and tennis lighting fixtures ship factory direct to your facility throughout the US and Canada. 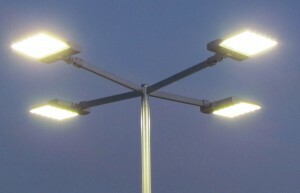 Contact us today for a NO COST lighting design and lighting project estimate. 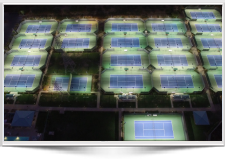 Brite Court is the knowledgeable partner you have been looking for to design and provide a smart lighting solution to reduce your facility’s high cost of electricity, maintenance and operations. 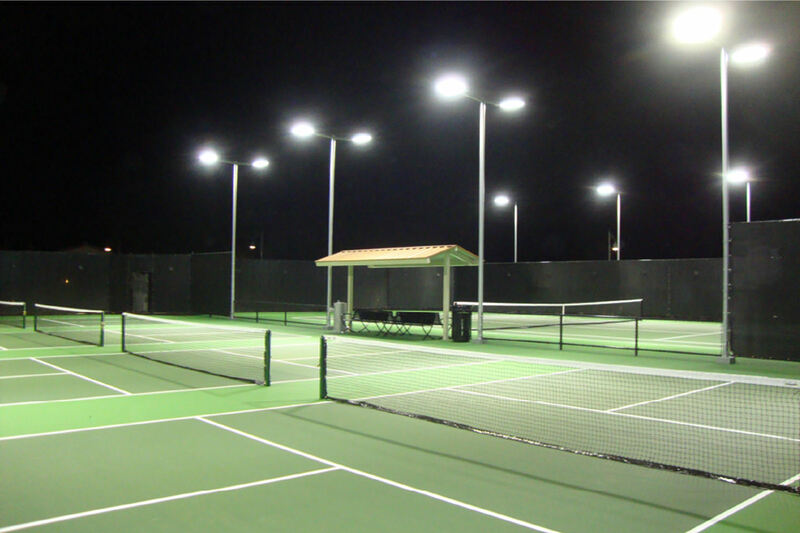 Specializing in new technology LED lighting, induction lighting, and T5 HO fluorescent lighting. 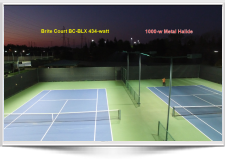 Brite Court will deliver smart solutions at affordable cost. 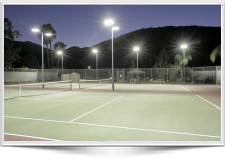 Brite Court is a division of Alternative LED LLC.